New Harbor: most photographed fishing village in Maine? Could be! | Oh, the Places We See . . . 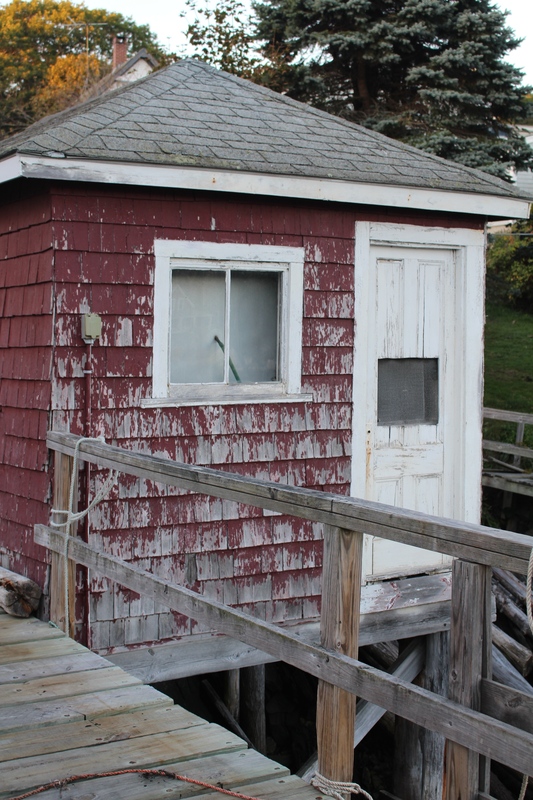 Facing the sun at day’s end, a little red house at New Harbor, Maine. 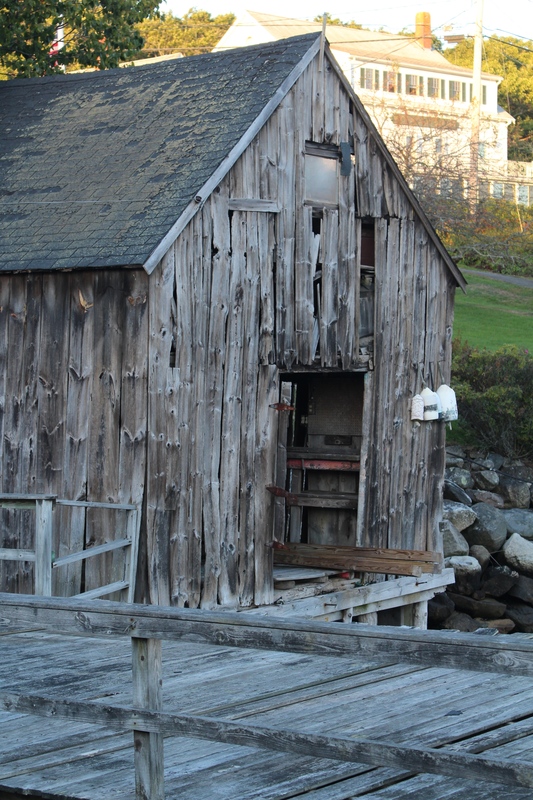 There’s no such thing, at least in our book, as the prettiest fishing village in Maine. Each one is prettier than the last, and all are unique. But the most photographed one, according to Moon Travel Guide: Maine (July 2017), is New Harbor in the Pemaquid Region. And we happened upon it by accident. New Harbor boats waiting for day’s end. Whether it’s truthfully the most photographed fishing village of all is moot. New Harbor at sunset offers views of quaint seaside homes, weathered buildings, and boats standing up to the sun, ready for photographers to snap. Authentic. Real. And totally unpretentious. Just the way we like Maine harbors to be. And add to the scenery a place to pick your own lobster and have it steamed on the spot (That would be Shaw’s Wharf), and you’ve got a Down East evening made for picture books. Always work to be done at a seaside restaurant. This is Shaw’s Wharf getting a little attention. So maybe New Harbor IS the most photographed fishing village — but who’s giving prizes? They’re all pretty lovely — especially at sundown. Sunset view of New Harbor, Maine — the most photographed fishing village? Could be! 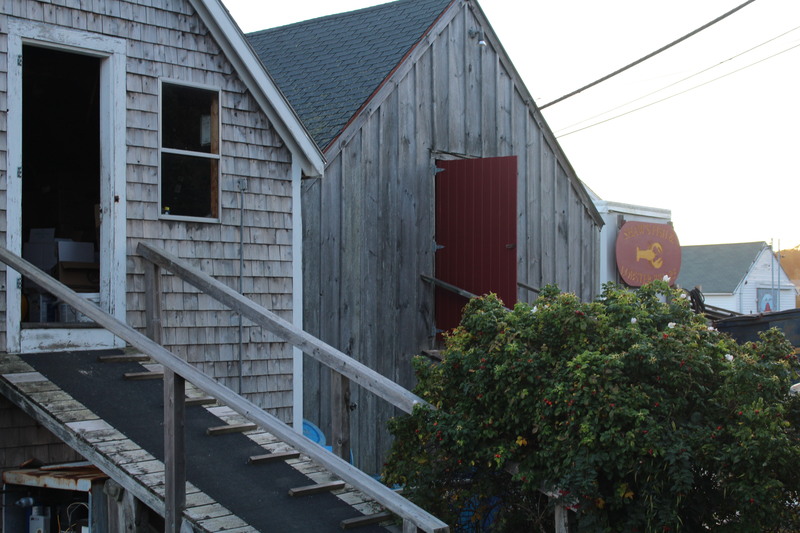 For more of our Travel Series on Maine in October, go to Travel Series: Autumn Down East. This entry was posted in Autumn Down East, Maine and tagged boats, fishing village, Maine, New Harbor, Shaw's Wharf, sunset. Bookmark the permalink. 11 Responses to New Harbor: most photographed fishing village in Maine? Could be! Love Maine! I was there decades ago and it is nice to see that at least this spot does not appear to have changed very much. Beautiful photographs indeed. Thanks for the compliment! And you’re right — not much has changed in Maine. Isn’t that why we all return? We love the past, the romantic, and the beautiful! I appreciate your comments so very much! I wish you could see me taking pictures. I’m almost in tears with the beauty I see, especially in our early morning visits to the harbor in Castine. This trip is truly a godsend, one that was an unexpected happenstance. I’m going to catch up on my reading of your blogs about Burning Man soon. I want to savor each one! Well, it is this year. Temps are mild, and colors are rich. But maybe in other years, it has been very cold. We brought long johns and heavy coats and gloves, but haven’t had to wear any of that. So, I would plan a return trip if the opportunity presented itself. Here’s to traveling Maine! Love Maine! These are beautiful shots! We were there a couple years ago and I kept wondering how people were making a living in these beautiful villages. So many piles of lobster traps, boats in yards. But such beautiful country. It has been a glorious October and unseasonably warm, according to the locals. We feel fortunate to be here — and wish we could return more often. It’s a gem of a state. Thanks, Sue. You’d love the photo ops in this state! Mmm, I think I would! Is October a good month?